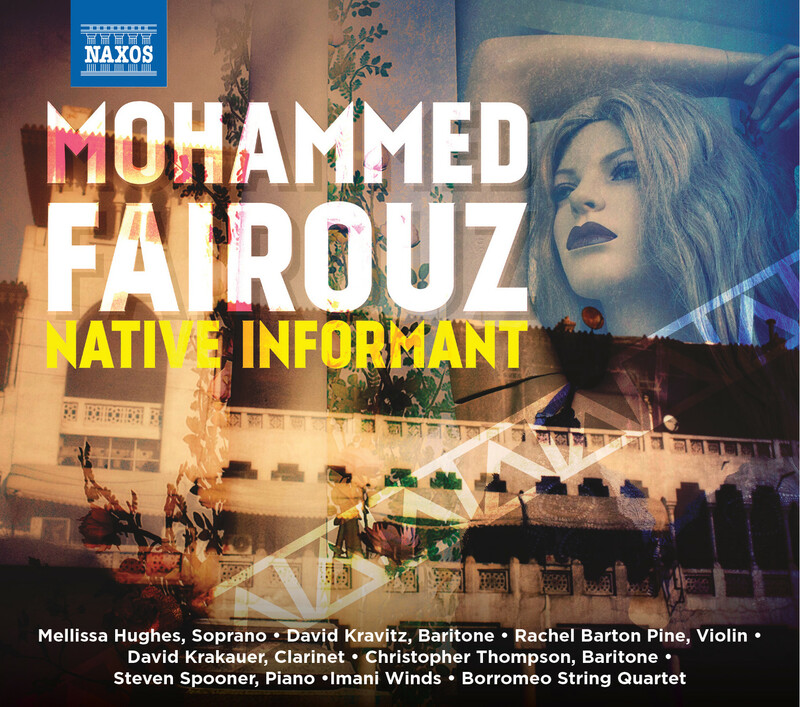 Composer Mohammed Fairouz has not one but 2 special events scheduled to be unveiled on the date of March 26th: A World Premiere of his 4th Symphony titled In The Shadows of No Towers at Carnegie Hall, and the new CD release on Naxos titled Native Informant, featuring some new recordings of Mohammed’s works played by artists such as Rachel Barton Pine, Mellissa Hughes, David Krakauer among others. He had a few minutes to stop by and chat about the premiere and the CD. CM: Can you please discuss the new symphony? Why has it been scored only for wind ensemble? Mohammed: In the Shadow of No Towers is my fourth symphony and it’s scored for large wind ensemble. It takes its title from Art Spiegelman’s comic book of the same name. Art started working on the first page of the book on 9/11/01 and continued chronicling the aftermath through his images and text. I have a big history of translating text (not so much images) into music in my work. I’ve written a lot of vocal music and set a wide variety of poetry to music ranging from Mahmoud Darwish and Seamus Heaney to Wayne Koestenbaum and Yehuda Amichai. And I’ve had the privilege to work directly with the poets I just mentioned and many others. Picking their brain, getting their impressions of what makes their writing tick has been a valuable part of my process and inspiration. I love the visual arts but I don’t consider myself particularly literate when it comes to looking at paintings, drawings and sculpture. The written word has always just been so much more accessible to me. Having said that, I’ve always been a big fan of comic books and the way that really great comics deal with the interplay of images and text. In his reaction to my symphony In the Shadow of No Towers, Art describes us both as “thoroughly Rooted Cosmopolitan New Yorkers” and I guess that was one of the reasons that the comic book In the Shadow of No Towers resonated so deeply with me. It captured many of the complex ways in which New Yorkers reacted to the September 11th Attacks ranging from the relationship with the skyline to the way in which the events were appropriated and transformed from being a human catastrophe to serving a political agenda. The symphony is in four movements, each of which takes as its point of departure a panel in the comic book. You can read my own breakdown of the four movements here, and also watch this video which explains it nicely. My choice of wind ensemble was a surprise to most people. As a composer who’s known better for my vocal and orchestral music, the concept of me crossing over into the band world was a little hard to imagine but there were some compelling reasons to score this symphony for wind ensemble. First of all, the wind ensemble is underserviced when it comes to bold works that engage serious topics. Wind ensemble directors seem to always be looking for new works that will fill that void and are especially hungry for music that expresses lucid emotions (not just music for occasions or busy fanfares). Second there’s something poignant to me in the fact that it takes human breath to activate the instruments of the wind ensemble. To breathe is to be alive and there’s something hopeful about expressing such a grim topic in that context. CM: Is what you envisioned for this piece based on what you experienced during the unfolding of 9/11? Mohammed: I wouldn’t say that. My feelings as I witnessed the unfolding of 9/11 were similar to the feelings of every sane person in the world: horror, loss, anger, disbelief, immense sadness and all the emotions that can possibly go with seeing thousands of people murdered like that. From the very beginning, I wasn’t out to write a symphony that was an elegy for the dead or a memorialization of that day but rather something that was a commentary on the aftermath and on how we dealt with it (including the last movement, Anniversaries, which is a commentary on the very way we’ve decided to commemorate and memorialize 9/11). So much of the symphony is social commentary. Even “The New Normal”, the first movement, doesn’t really depict the events literally as much as it represents the reactions of the family watching the events unfold on their TV screen in Speigelman’s panel. The closest I come to introspection in the symphony is the second movement titled Notes of a Heartbroken Narcissist after the introspective greyscale panel in Art’s book. It’s the one movement of the piece that features the six percussionists, piano, harp and double bass without any of the winds playing. The cymbals scrape their instruments with coins (metal against metal) and the movement seems like an eerie extension of silence. Certainly the “One Nation Under Two Flags” movement (the third movement of the symphony) has nothing to do with the unfolding of 9/11 itself, the victims, or even New York City. 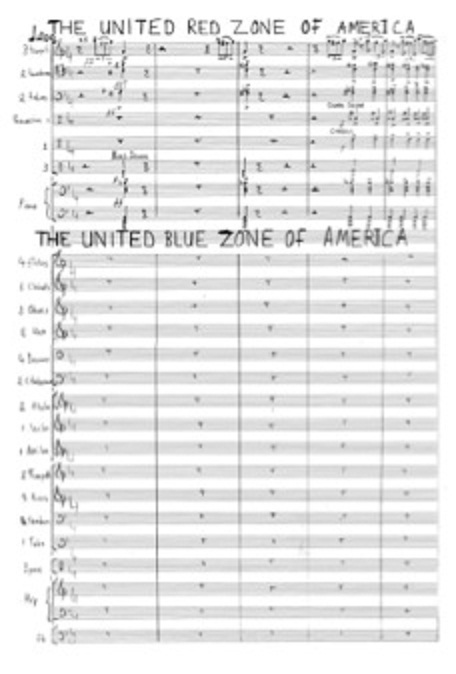 It takes its inspiration from Art’s detail on the polarization of the United States into a “Red Zone” vs. “Blue Zone” country and it’s a caricature of society and political bickering. It ranges from mock heroics to overly bombastic church bells and a bad marching band playing Souza-like riffs in the town square. Just like art divides the flag and paints the people in different colors, I divided the wind ensemble into two different bands playing at the same time in this movement. CM: What was your response to Art Speigelman’s comments about the symphony? Mohammed: I’m always gratified when a writer or artist is moved by my work especially when it is inspired by their work. And Art has such an idiosyncratic way of writing. I’m especially tickled by his characterization of my third movement as a “schizo-scherzo” and his observations about us both being obsessed with “structure”. After all, I didn’t have to call this piece a “symphony” nor do I have to write works that I title “symphonies”. Even though my symphonies have titles, (i.e. Poems and Prayers; In the Shadow of No Towers) there’s still a body of works in my catalogue that are subtitled “symphony” (four so far). So I’m a composer in my 20s writing “symphonies”. In order to do that with a, sometimes, straight face I love to subvert the retro form and comment on it and on all of its baggage. Like the ancient form of the symphony, the old World Trade Center buildings were the ultimate example of unadorned “structure” in architecture and I was acutely aware while writing the symphony that Yamasaki’s design for the Twin Towers was “New Formalism” at its most cited in all the architectural books I was reading. And let’s not forget that Art Speigelman published the ten strips that make up In the Shadow of No Towers together with a supplement of reprints of turn-of-the-20th-century comic strips… No wonder he saw right through all my tricks in his reaction! CM: This has been quite a year for you so far with these premieres! Are you excited about the World Premiere at Carnegie? Mohammed: It’s always a real pleasure to be played at Carnegie Hall. I love all the auditoriums for their brilliant acoustics and for just feeling like a great concert venue but it’s particularly meaningful for a work like In the Shadow of No Towers that has so much to do with NYC being unveiled on one of our city’s most visible stages. CM: The upcoming CD release Native Informant looks exciting! 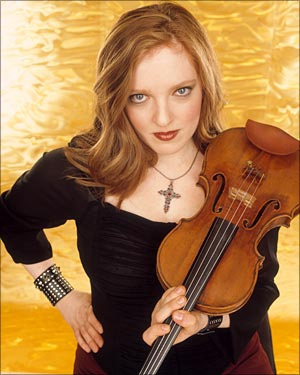 Glad to see that Rachel Barton Pine is on the recording, and I just spoke to Mellissa Hughes about the piece she worked on. What is your impression of some of the soloists/artists that worked with you on this recording? Mohammed: Well let’s face it. This is an all-star disk with some pretty heavy-weight talent all coming together to tell the story that this carefully selection cross-section of my vocal and chamber music sets out to tell. [Pictured right: Rachel Barton Pine] Rachel Barton Pine plays the title piece, Native Informant which is my solo violin sonata that she commissioned with virtuosity and grace. Particularly moving to me is the way that she brings her unique brand of emotional heft to the central movement of the work titled For Egypt. It is my lament for the men and women who were so brutally murdered by the former regime during the initial Tahrir Square uprisings and you can learn more about it here. Mellissa Hughes is a tremendously talented singer of our generation and she has a way of inspiring the best out of us with her dramatic skill, beautiful voice and constant willingness to push boundaries. I teamed her up with David Krakauer for the recording of my lullaby “Tahwidah” and it was a match made in heaven! The Borromeo String Quartet perform two works with their characteristic beauty and musical sophistication. On one of the works they are joined by the baritone David Kravitz who sings a piece of mine that was commissioned by American Opera Projects. It’s called For Victims and it’s a setting of the poet David Shapiro’s powerful texts recalling members of his family who were murdered in the Holocaust. The pianist Steven Spooner is a relatively new collaborator but we’ve grown to be great friends. He’s played The Last Resistance (my second piano sonata) all over the world and he appears on this disk with the sweet-toned baritone Chris Thompson playing my settings of three poems by Wayne Koestenbaum titled Posh. The disk closes with the Imani Winds, some of my oldest and most cherished friends, playing my quintet which they commissioned called Jebel Lebnan. The piece draws on images from the Lebanese Civil War and examines their effect on the current face of Lebanon. It’s a piece that vacillates between violence and mourning on the one hand, celebration and hope on the other and it’s just stunningly performed. CM: What are your thoughts on the piece “Piano Miniature #6: Addio” that pianist Lara Downes recorded on her latest CD? By the way, she is very fond of the working relationship you guys have! Mohammed: Lara is just one of those very special spirits in the world of music and we share many common passions. One of them is bringing exciting new music into the hands of extremely talented young people and that particular passion has seen the Mondavi Center commission a new work for their Young Artists Competition that Lara runs out in California. Another passion we share is a passion for telling stories and that’s why she reached out to me to include Addio on her recording called Exiles Café. My miniatures are some of my most often performed music and Lara uses my 6th as the final track in her latest album in tribute to all those who have to part and say “goodbye” in the journeys of exile. CM: I’m amazed that you are always working on and producing so much new music. Is there something you can tell us about that is in the works for future release? Mohammed: On the immediate horizon is the premiere of a chamber orchestra work commissioned by the New Juilliard Ensemble (Alice Tully Hall, April 12th). The piece is called Mighty Triborough and its another piece about an amazing structure: the Triborough Bridge (which, by the way, is my favorite of NYC’s great bridges). Also coming up pretty soon is the world premiere of a new large-scale theatrical song cycle called Pierrot Lunaire. It sets texts by Wayne Koestenbaum and was commissioned by the Roger Shaprio Fund for the Da Capo Chamber Players. They’ll premiere is at Merkin Hall on June 4th. Further out into next season are a few exciting premieres. I’m hard at work on a series of five dance scenes for percussion and chamber orchestra called Sadat. A Reach Out Kansas commission, Sadat chronicles events from the life of the late Egyptian president Anwar Sadat from his extraordinary involvement with the Free Officers movement to his rise to presidency, his epic trip to the Israeli Knesset in his effort for reconciliation and his final assassination by the Muslim Brotherhood. It’s interestingly timely given that the Brotherhood is now in power in Egypt and efforts at reconciliation have halted to nothing. He’s certainly a potent figure for an artistic study. Something that makes this project particularly special to me is that I’m composing the solo percussion part for Ji Hye Jung , a new friend and a rising star taking the percussion world by storm with her remarkable dance-like fluidity in performance. I’m also working on a cello suite, a Vision Into Art commission for my friend Jeffrey Zeigler and there are several works that I’m yet to really dive into! 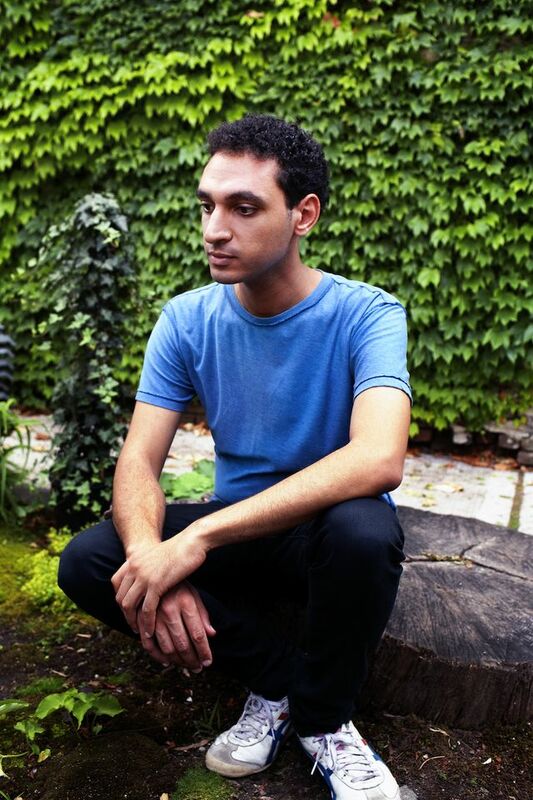 EDITOR’S NOTE: The World Premiere of Mohammed Fairouz’s 4th Symphony In The Shadow of No Towers takes place at Carnegie Hall on March 26th at 8 PM. Proceeds from this concert will go to the 9/11 Memorial fund. Click here for tickets and information. Native Informant is also coming out March 26th but it is strongly advised to pre-order it here so that you get it as soon as it comes out at the preorder price! 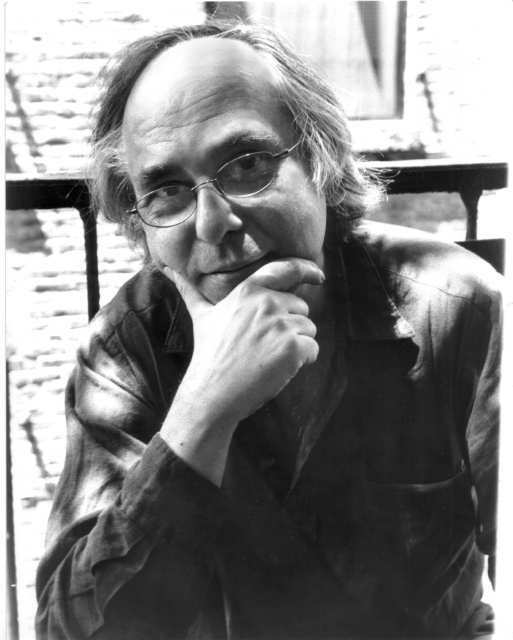 This entry was posted in Composers, Concert Previews, Interview, New Classical Music and tagged Art Spiegelman, In The Shadow of No Towers, Lara Downes, Mellissa Hughes, Mohammed Fairouz, Native Informant, Rachel Barton Pine. Bookmark the permalink. Enter your email address to follow The Glass, and receive notifications of new posts by email. aworks :: "new american music"